Welcome back to Manicure Monday! This week I will be showing you a nail look that I did inspired by Cinderella.. yes the Disney Princess version! I have seen all of the Cinderella movies and other versions of it. I was inspired by the classic animated version and the version with Brandy and Whitney Houston. So I decided to do pastel blue nails and use Whimsical for the sparkles and rhinestones for the tiara because every princess should have a tiara! Wanna see more photos? You know you wanna!! Click below! This was suppose to be part of my Halloween series for nails and makeup.. but I cant seem to decide how I want to do Cinderella's makeup. I guess we will have to see, if I come up with a look. 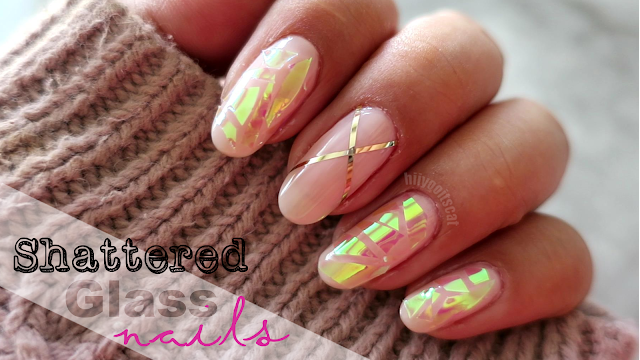 I hope you guys enjoyed this nail look and if you decide to do a version of it, don't be scared to share with me on facebook or twitter! I would love to see it. The rhinestones on all the fingers were a bit much for me.. so if you are like me.. go ahead and just do it on 1 or 2 of your nails and leave the rest of the nails simple =).